DOWAGIAC, MI—Yes, there were even live turkeys at Michigan’s first Turkey Trot. “When I let them out of the pen, they just sort of walked around,” said Ron Gunn of this clever idea for a running race he conceived back in 1967. It’s was Ron’s first year as a physical education instructor at Southwestern Michigan College and his Turkey Trot became the state’s very first. 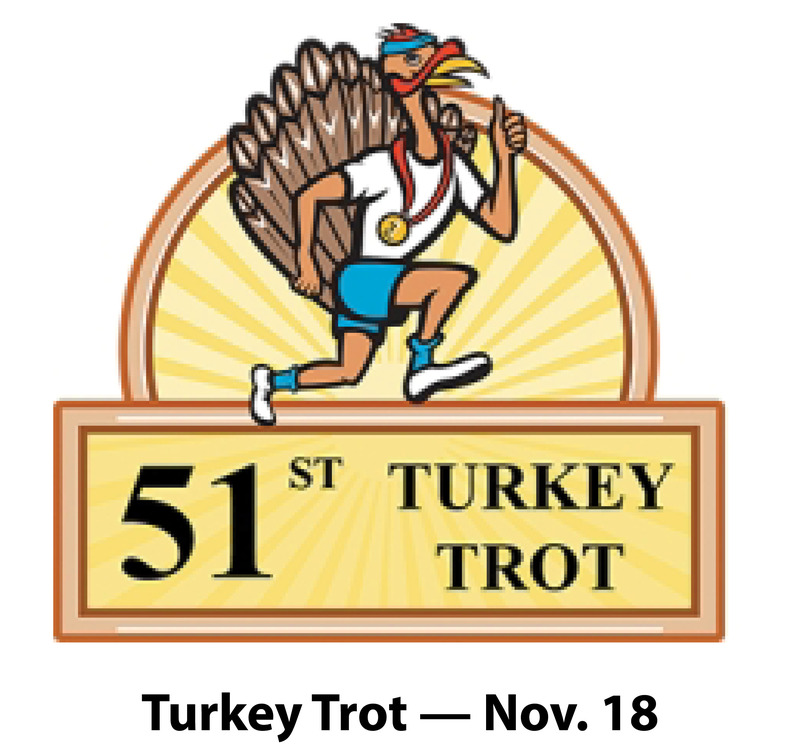 The all-trail Turkey Trot is still held on the beloved Roadrunner Trails and environs that lead out of Dowagiac Middle School. As it was in 1967, it’s a unique, community-spirited Sunday afternoon event for those wanting to get fired up for the big day. Ron is expecting about 300 participants this year. Dowagiac Middle School has stepped up to help sponsor the race and will serve as the start/finish area. Long-sleeve tech shirts were designed for all 10k & 5k participants and custom, wood-laser medallions will be awarded to winners from 30 age groups. And a no entry fee kids fun run with ribbons for all participants.